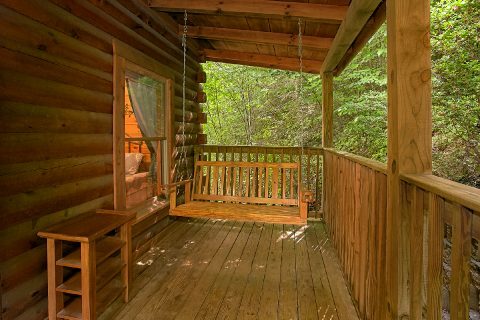 Looking for an affordable cabin for your getaway to the Smokies? 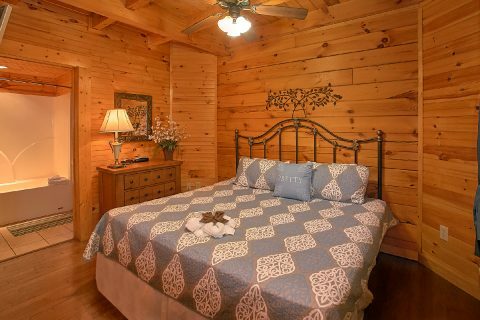 Look no further than "Reclusive Moose," a comfortable 2-bedroom log cabin that sleeps up to 6 guests in comfort! 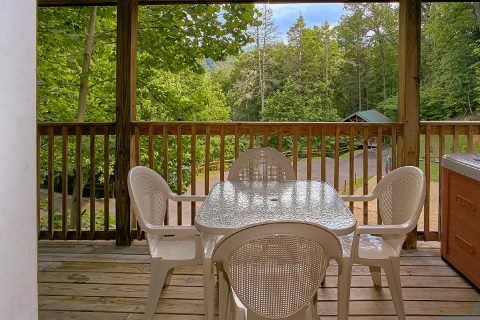 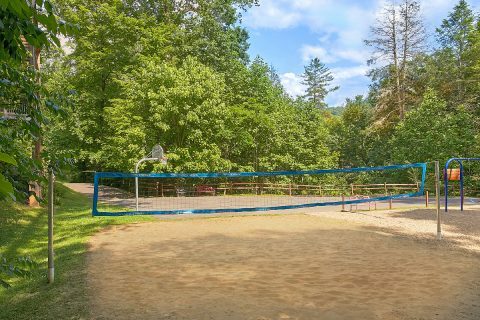 This rental offers a prime location that's only 10 minutes from Downtown Gatlinburg and a beautiful view of Mt. 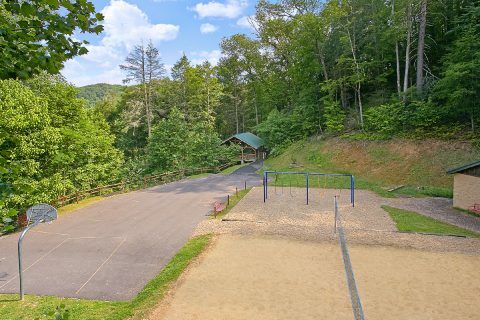 LeConte in the Great Smoky Mountains National Park! As a result, this cabin is ideal for experiencing the Arts & Crafts Community in the Glades, hiking in the Greenbrier area of the national park, or for enjoying a day at Ripley's Aquarium of the Smokies. 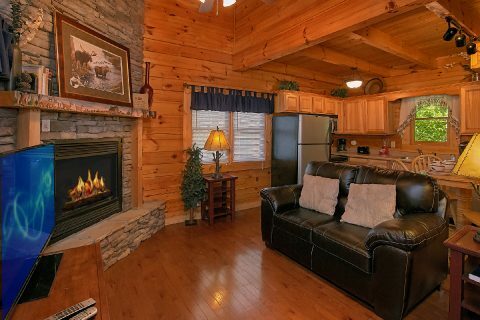 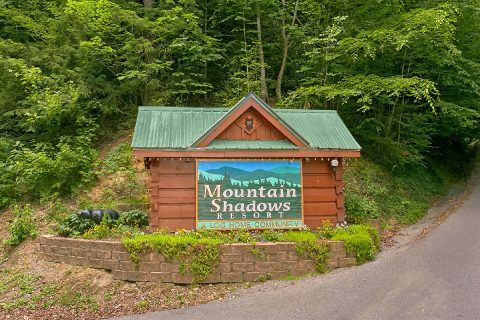 After a fantastic day of exploring the Smokies, you can retire to this log cabin with scenic views of the mountains and get some rest before another fun-filled day on your vacation. 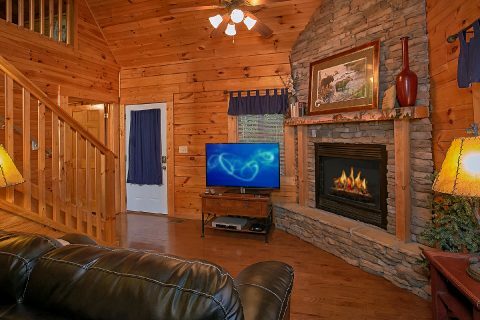 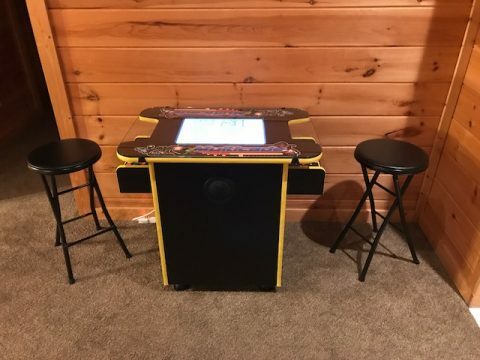 The main level of "Reclusive Moose" features a comfortable sitting area complete with a flat-screen television and DVD player. 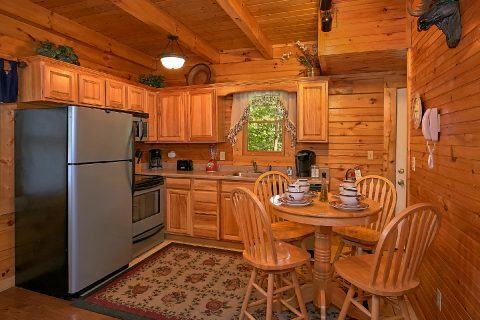 There's also a full kitchen that gives you the option of preparing delicious meals in your cabin rather than eating lots of costly meals in town. 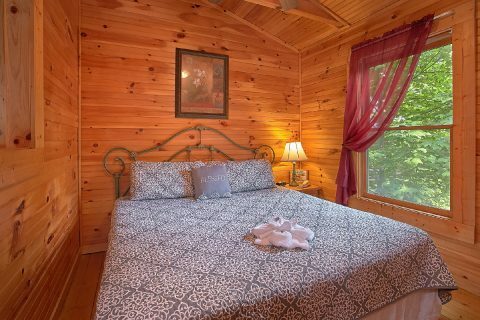 In the upstairs loft, you'll find an extra queen-sized sleeper sofa and a 50" flat-screen TV. 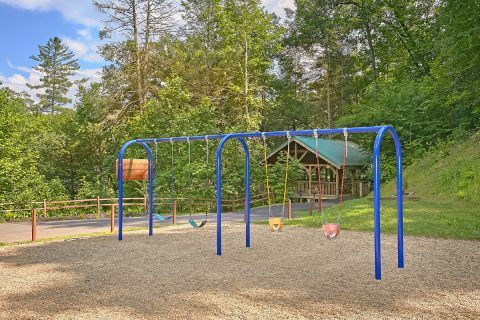 This rental overlooks a resort playground and pavilion area in the Mountain Shadows Resort area. 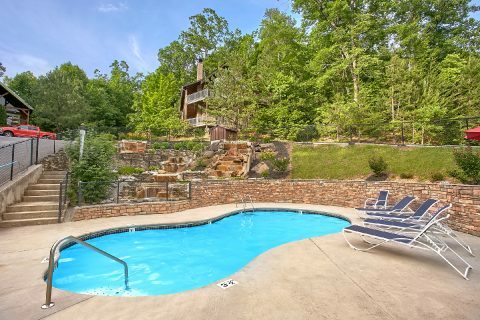 As an added perk, guests will enjoy resort pool access. 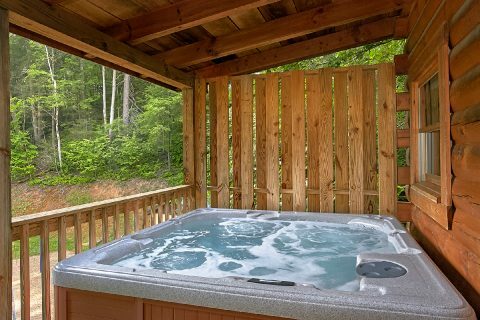 For keeping you well-rested during your stay, this rental comes complete with 2 private king-size bedrooms. 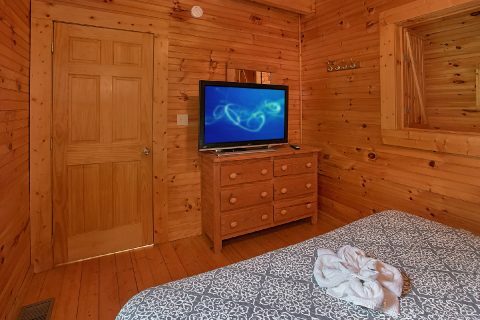 One of these rooms provides a flat-screen television for relaxing in the evening. 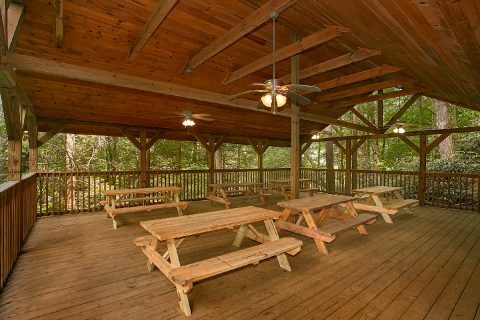 Book your affordable 2-bedroom cabin with Cabins USA and you can earn an extra discount on your cabin! 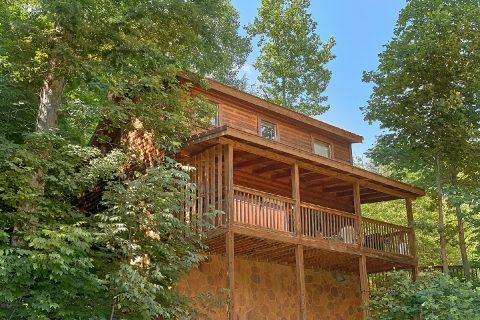 Reserve your cabin online today to save 15% on your nightly rate and enjoy a great cabin vacation that's easy on your budget!